Enigren had never been on an airplane much less been out of Mongolia. 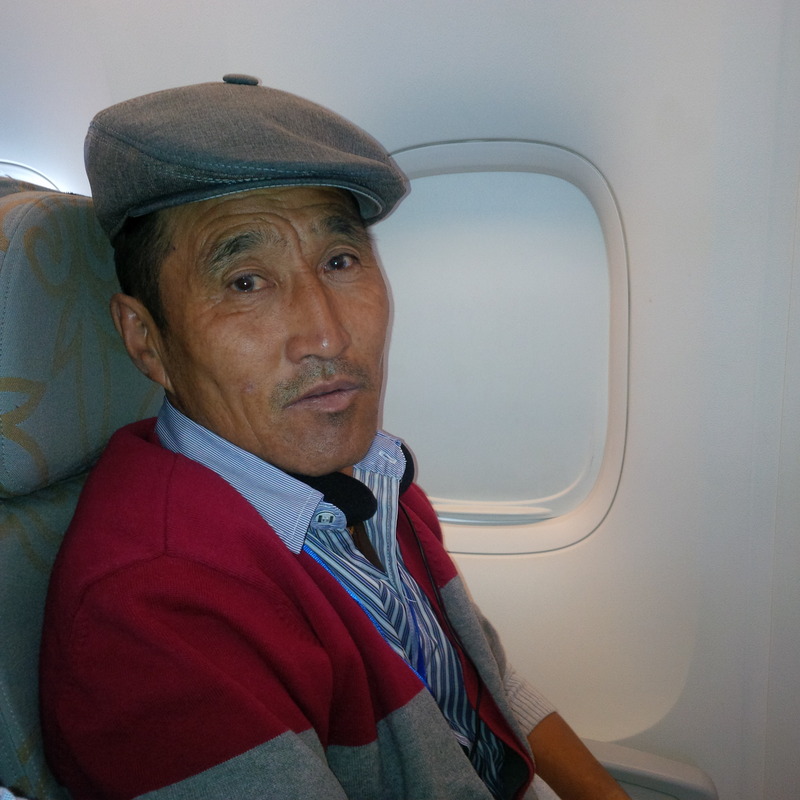 We sat next to each other in coach for the two hour plus flight from Ulaan Baatar to Seoul. He was nervous, excited, scared. He was traveling to see his daughter and her family who live in Pusan. He had not seen them in 10 years and was looking forward to see for the first time his granddaughters age 6 years and 6 months, respectively. Erigen works as a guard at a factory – I think. You see, we did not speak each other’s language so it was not all clear. 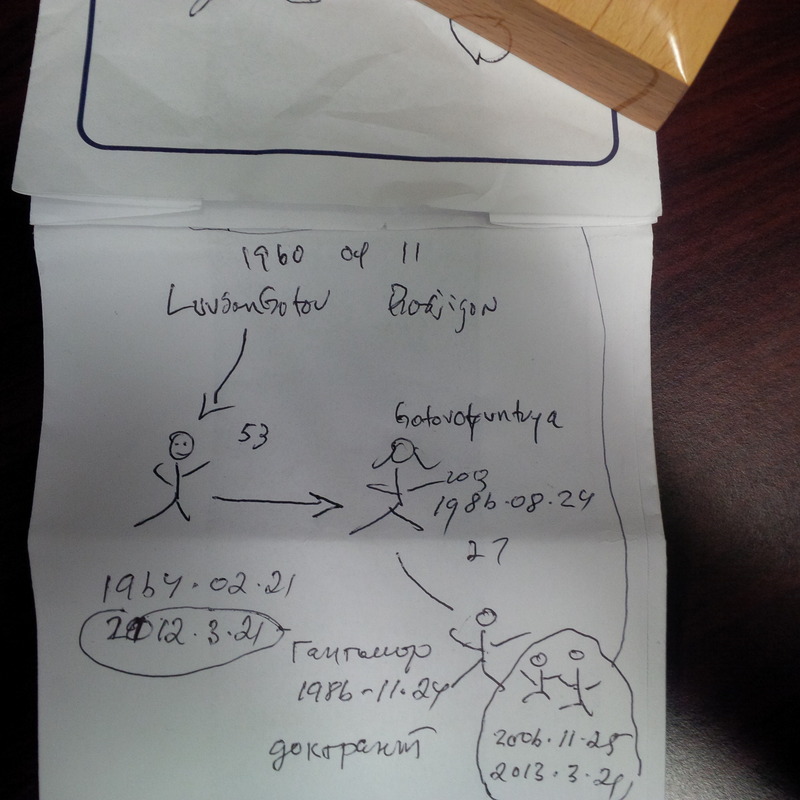 My 6 hours of Mongolian language instruction got me as far as I could. Gestures and the sick bag served as our communication tool. I think this is what they mean by “Use in Case of Emergency”. We were two souls put together by fate. We laughed, ate, drank and teased each other…at one point he gave me the universal gesture for “I need to pee, what do I do? !” and I pointed to the sick bag. For a moment, he looked terrified but then noticed I was joking as I pointed in the right direction. There was no Vodka in our section of the cabin but we did enjoy some wine as we drew our stories, literally and figuratively. What struck me was that we were both the same age; he was just 6 months my elder. He looked wise beyond his years and at one point when we were taking off he clutched my hand and looked deeply into my eyes and I felt our whole lives were exchanged with that frightened grab. 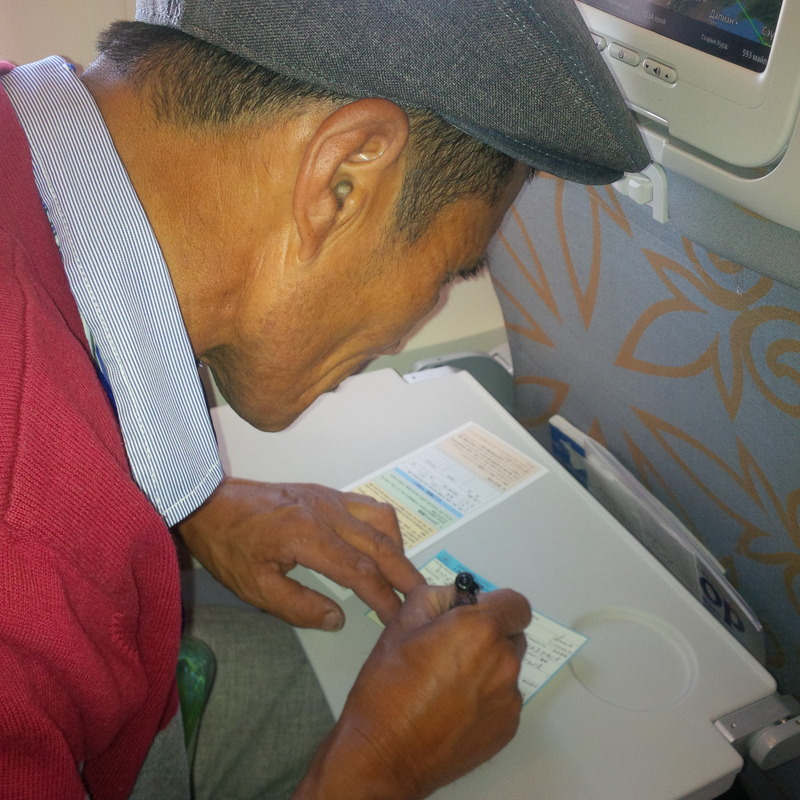 After a moment as the plane eased altitude, we shared the universal sign of friendship – an even deeper smile.